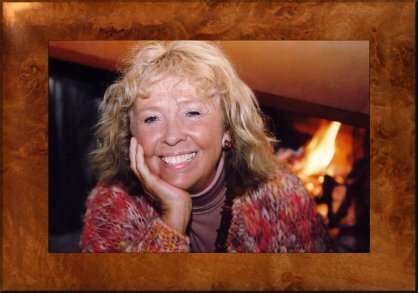 Moe Peck, Ph.D., obtained certification in Sweden as a Mental Training Counselor from the University of Orebro. She presented her study "Visual Art Process and the 7 C's Integrated for Relaxation and Mental Training in a Girl's Residential Treatment Center" along with other panelists at the World Congress on Mental Training and Excellence in Ottowa, Canada in 1995. She presented a case study, "Successful Outcome of a Public School Male Adolescent with Behavior Disorder Utilizing Unestahl's Swedish Model and the Visual Art Process" in 1996 at The International Scientific Conference in St. Petersburg, Russia. Dr. Peck's educational background includes a Ph.D. and M.A. in Clinical Psychology from The Fielding Institute, an M.A. in Sculpture from Texas Woman's University, and a B.S. in Art Education from the University of Houston. She taught art in Houston within the Houston Independent School District for nine years, obtained her training in Art Therapy from the University of Texas at Arlington, and did her internship at Austin State Hospital. Dr. Peck is a Licensed Professional Counselor in the state of Texas (LPC-AT license #13022), Board Certified Registered Art Therapist with the American Art Therapy Credential Board and a Certified Group Psychotherapist with the American Group Psychotherapy Association. She is currently in private practice in Austin, TX. Contact Dr. Peck at 512-517-5860 or by email: moesculpts2@yahoo.com. Dr. Moe Peck is approved by the Texas State Board of Social Worker Examiners to issue certificates of Continuing Educational Credit (#CS2592).